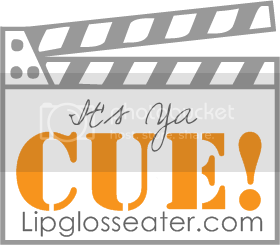 [Lipglosseater]: Jenn Asks: What is at the top of your wishlist now? Jenn Asks: What is at the top of your wishlist now? if not a vacation, a LONG break without having to do anything would be nice! Awwwww, thanks Jenn! ^.^ I really do too, well, passing the subject might be easily done perhaps,teehee! I'd like a vacation too. And a new camera! a never ending holiday world tour!!! a bank acc loaded with 7 figures!!!! with an auto bank in to refill whenever a zero dissapear! Ooooh excellent! :D The 1st half of the year is simply excellent for travelling, unless of course it's summer for Europeans then it might get a bit packed too haha :P But can't bear year-end packed-ness! I'm still looking at nail salons! Am quite picky :P As for vacations I'm looking at Bali or Taiwan perhaps hehehehe!